I am sure many of you are having fun in this quite absurd election year in the U.S. Everyone is talking about it, even my 9-year old comes back from school nowadays with alarming commentary regarding Trump, Bernie and Hilary. It’s hilarious…so are You With Her or do you want to Make America Great Again? 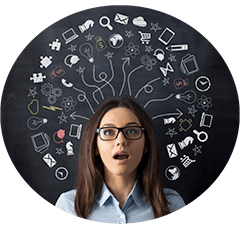 In this era of social media proliferation, real-time and instant access to data and news, information overload is almost unavoidable. Short of escaping to the top of a mountain or hiding in a cave, it’s easy to lose track of what really matters and what is important. Messages, are hitting us at an astounding rate and all candidates are trying to ‘capture’ our attention with something that resonates. Is it working? Hardly. Separating ‘emotions’ from ‘facts’ is impossible. We are left to make a gut-feel decision…and this is a really important one, not just for the US, but for the world. Information overload is a BIG issue in IT. Especially in the area of Network and Application Performance Monitoring. Today, apps are more strategic than ever and app performance is directly linked to the performance of the business. Apps are everywhere: touching customers and prospects, making employees more productive, enabling collaboration and partnerships. Essentially enabling the business, allowing it to grow and thrive. One of the culprits of this ‘Performance Gap’ is the proliferation of monitoring tools within IT. Over the past 20 years, as enterprise networks and systems grew, IT monitoring capabilities and tools grew alongside those systems and infrastructure…in order to cope with rapid growth in systems, networks and apps, tools were being added by various IT teams that need data to manage their respective system or domain. These tools are not integrated and they typically focus on establishing the innocence of a particular technology domain. Senior engineers from the network, infrastructure and database teams often find themselves troubleshooting the same problem in parallel, wasting significant time, and not always finding the true causes of complicated issues. As we speak with customers, it is clear there’s a pretty broad spectrum of maturity out there when it comes to Performance Management. 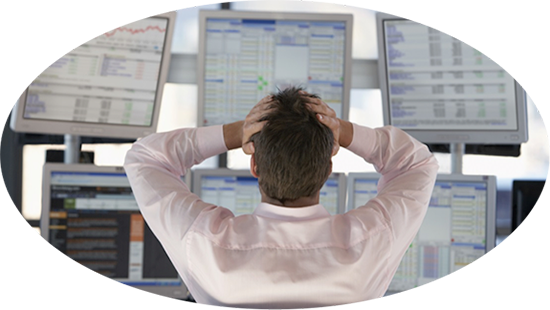 The majority of customers use lots of fragmented point solutions…in siloes, each with their own data set, analytics, dashboards, reports and are entirely reactive in nature. Business owners and IT teams are overwhelmed with ALL the data and information that the dozens of monitoring tools used are providing while still, they don’t know what is important or critical to run and grow their business, improve the performance of their revenue generating services and apps and make users productive and happy. Hopefully you see the similarities in how information overload is affecting voters, trying to figure out who will be the best president and businesses, trying to work out how to best improve application performance! Too much information to absorb creates a situation where knee jerk reactions take over. And the next thing you know, everyone is pointing fingers. Riverbed can’t help U.S. voters, but we CAN help enterprises! Riverbed SteelCentral delivers an integrated and comprehensive platform for unified performance management. The ability to BLEND, INTEGRATE and most importantly PRESENT actionable insights that allow users to continually improve, prevent or fix performance issues fast. Let’s take a look at ‘1’ above. In order to be in position to do ‘2’ well, having access to all the data from the entire application and service ecosystem is key. 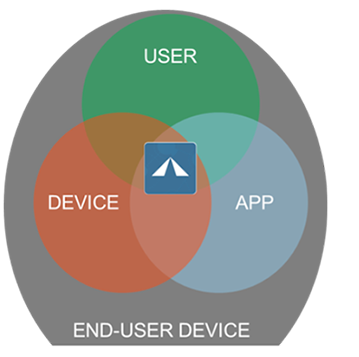 BUT, there is one particular aspect of this ecosystem that is THE MOST CRITICAL…and that is the END-USER DEVICE. One may have the best performance data for network or the back end servers. They may have complete infrastructure analysis or countless log records. Unless they know what the end user is experiencing or how effectively they are interacting with an application on their device—whether that’s PC, tablet or smart phone—they will not be able to complete the picture. As a result, they won’t get to the root-cause of issues, improve end-user experience, and improve their productivity. Aternity’s proven technology helps enterprises see the entire user experience for any application running on any device, providing a user-centric, application performance experience vantage point that many of the market’s narrow-scope network or application performance monitoring tools lack. By effectively transforming every device—physical, virtual and mobile—into a self-monitoring platform that is user experience aware, enterprises are empowered with user-centric, proactive IT management capabilities that dramatically reduce business disruptions and increase workforce productivity. So no matter what application, device, or location, IT can have instant visibility into what a technology-dependent workforce is experiencing. Aternity’s software agents collect data from user device and monitors every application running on every device type—physical, virtual or mobile. The addition of Aternity to SteelCentral will offer best-in-class end-user experience monitoring, and provide the industry’s best and most comprehensive end-to-end visibility solution in the market—spanning network, application and end user experience performance management…in other words, improving the quality of information and reducing the noise that surrounds application performance. This is exciting for all customers and partners.